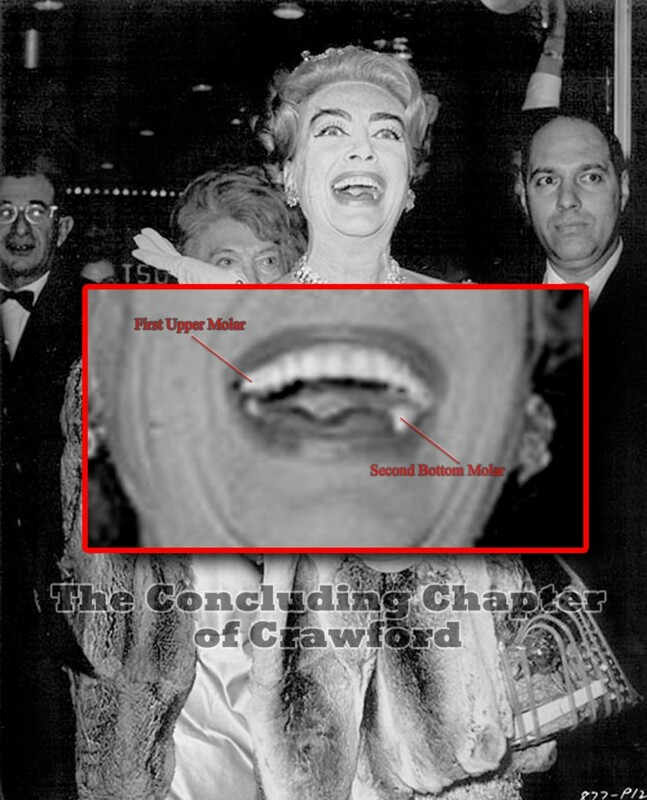 ​​​Did Joan Crawford Have "The Buccal"? 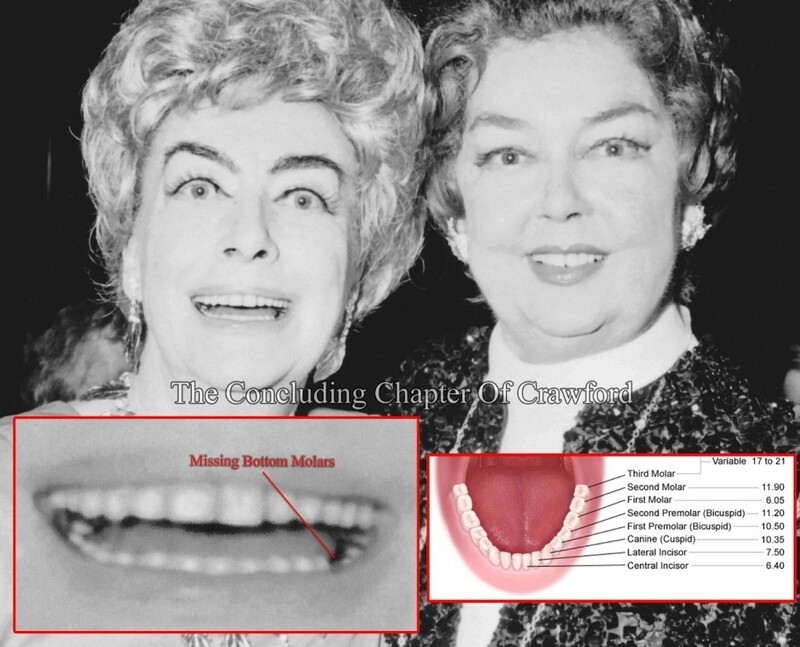 Several Crawford biographies, and the television show "Feud: Bette & Joan" claim that Joan had a dental procedure nicknamed "the Buccal" in her early years at MGM. The procedure's objective is to remove the patient's molars as to give the patient's facial appearance a more pronounced hollow cheekbone ​structure. It is a longstanding rumor that Joan had this procedure, however this Webmaster denounces it. 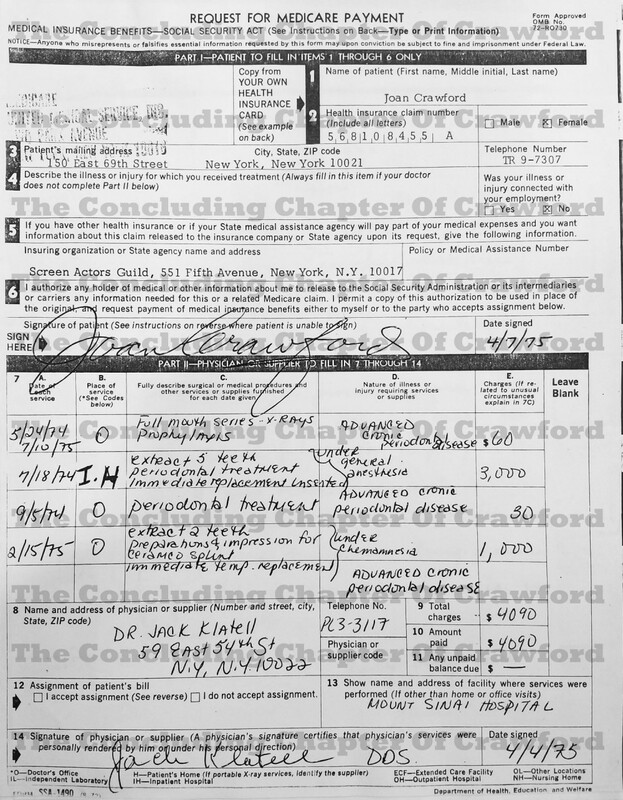 I refute this rumor with documentation in my possession and photos which clarify that Joan did not have "the Buccal" procedure to remove her molars (however, there is always the possibility that Joan did have her wisdom teeth removed, as is the case for many adults). ​disease (as exhibited in the highlighted areas below). 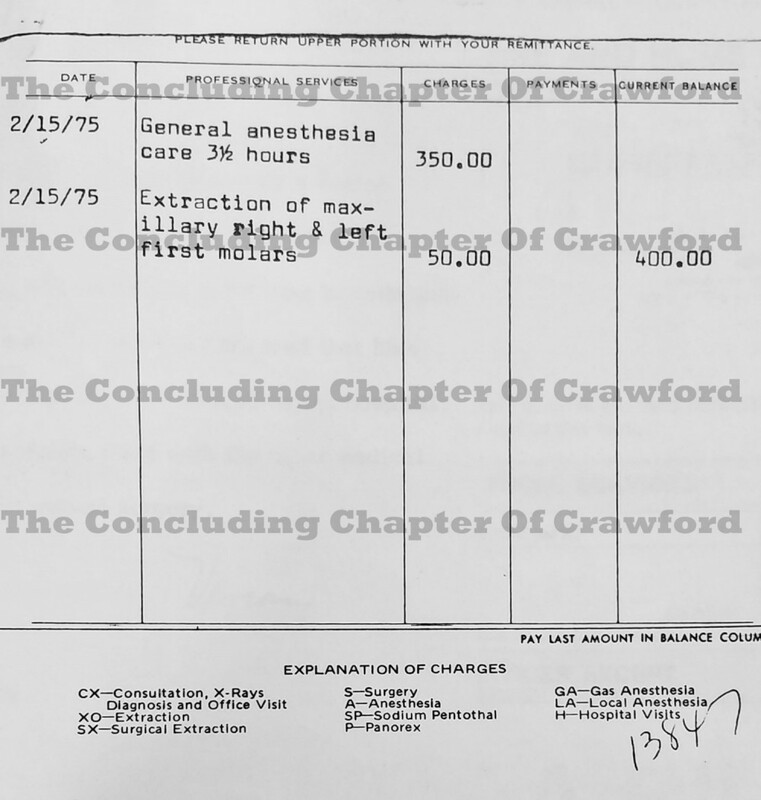 As shown in the following dental records, Joan had five teeth extracted on July 18th, 1974.​ These were molars, including a premolar (bicuspid) on the left-hand side of her lower jaw. 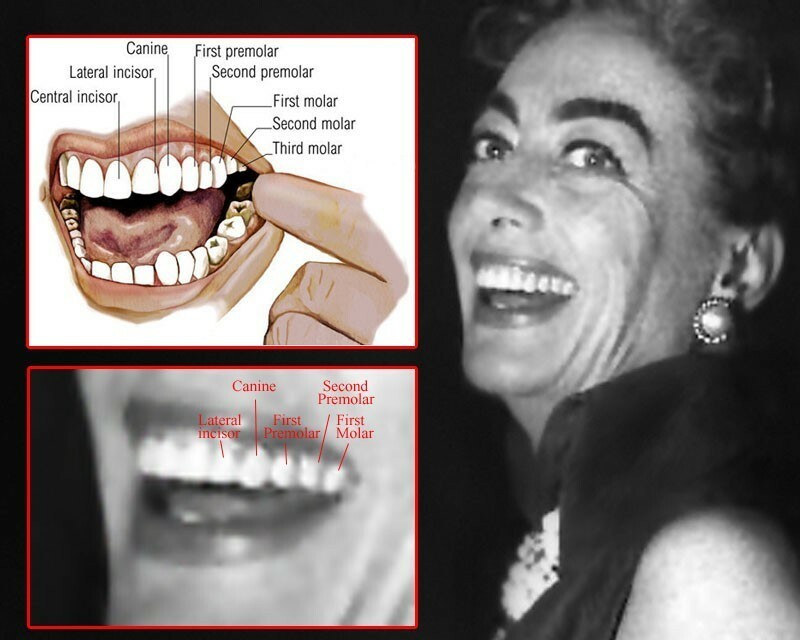 Subsequently, as shown below, Joan had her two maxillary (upper) molars on each side removed on February 15th, 1975. ​"the Buccal" procedure in her earlier life.​​ This leaves the conclusion that her famous cheekbone structure was indeed the result of her own natural beauty. In regard to visual confirmation, below is an offering of photo enlargements of the inside of Joan's mouth in which Joan's molars are viable.